Have you been working with concepts in your curriculum for a while? 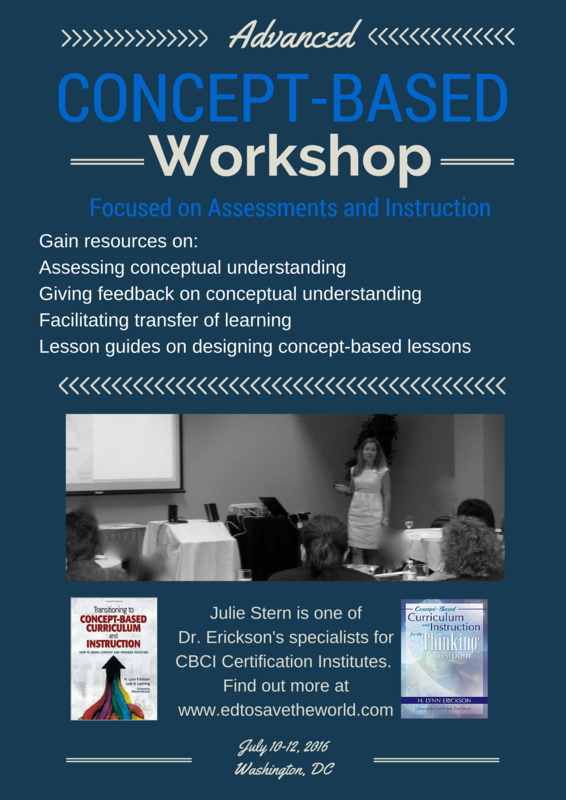 Have you already received training on concept-based curriculum and would like to explore more deeply how to assess it and how to introduce it to students? This is the workshop for you! Participants will leave with concrete examples, templates and the start of your own plans for building assessments and lesson plans for deep understanding and intellectual growth. The size is limited to 25 people so reserve your spot today!